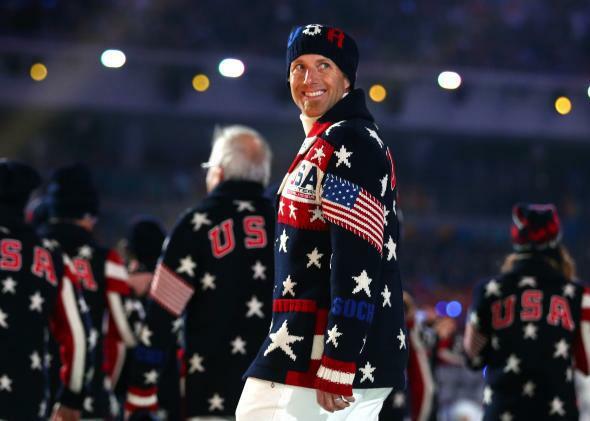 Opening ceremony sweaters: Those Ralph Lauren duds were the best thing about the Sochi Olympics. 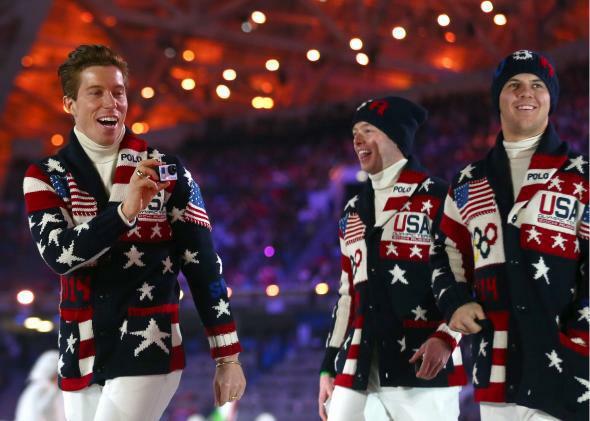 Shaun White and pals revel in the greatness of Team USA’s ravishing opening ceremony sweaters. 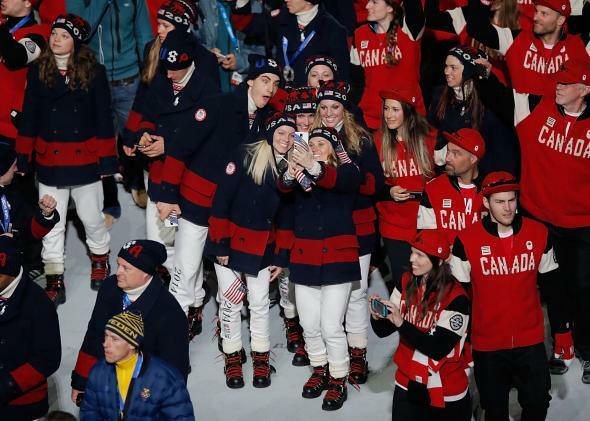 Today, American athletes marched in the closing ceremony at Sochi. They were outfitted, once again, by Ralph Lauren. But gone were the bold patchwork sweaters the team wore into the arena two weeks ago. Instead, they sported navy pea coats festooned with a red stripe. Team USA’s closing ceremony attire. So boring. To which I say: lame. Yes, the opening ceremony sweaters were widely ridiculed. 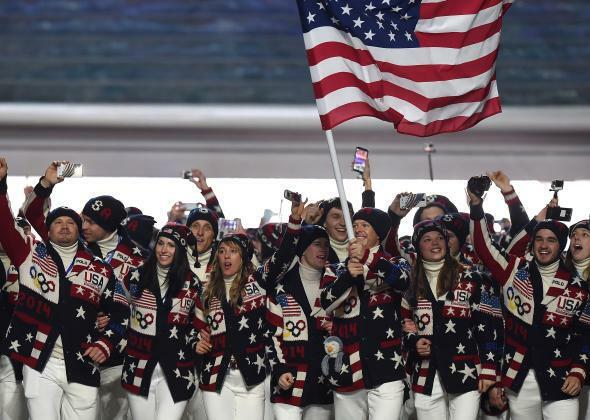 “I didn’t know the ugly sweater contest was an Olympic event, Ralph Lauren,” read one characteristic tweet. There were comparisons to Christmas sweaters. Even Jimmy Fallon, the kindest late night host of them all, was lacerating. But the sweater wasn’t ugly. It was misunderstood. Too often in matters of style, anything loud is assumed to be hideous. But not every bold pattern or bright color is misbegotten. Sure, you might not wear an electric-hued, star-bedecked, shawl-collar cardigan to the office. But if you consider the context for which the sweater was designed—a gigantic pageant in which those wearing it would be tiny, ant-sized participants, appearing in close-up on TVs for a short spurt of time—the solution Lauren came up with was charming, fun, and well-suited to the occasion. Look at that handsome sweater. Also: It seemed American. Too often in the past, Ralph Lauren has tried to dress the American Olympic team like a bunch of Air France flight attendants. Classy, fussy, a bit continental and a bit formal. Team USA’s 2012 opening ceremony garb. 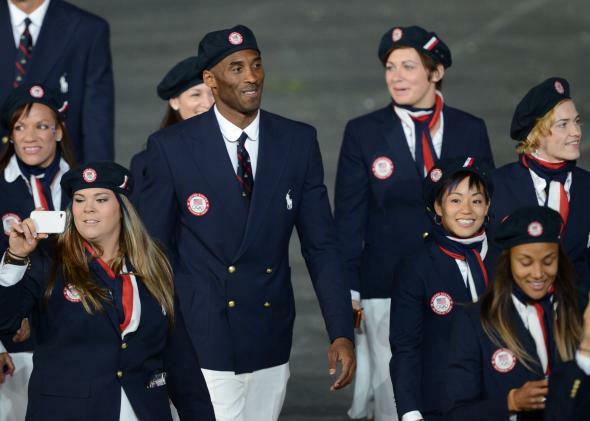 Is that Kobe Bryant or an Air France flight attendant? But America is brassy and garish, more Kate Upton than Kate Middleton (much less Catherine Deneuve). The only place in the world that I can imagine spotting the Sochi sweater is in some American cabin in winter—maybe on a Great Lake somewhere, maybe in snowy New England—near a wood stove, with some hot cider and a snowy game of touch football under everyone’s belt. Sure, it’s a fantasy. But it’s an American one. Finally, and most important, the sweater was memorable. No one will confuse it for something you picked up on a sale rack at the Burlington Coat Factory. Which may explain why the sweaters are now going for nearly $4,000 on eBay. That, more than anything else, is why I’d bet Ralph Lauren will be designing Olympic uniforms for many games to come.